The Holiday World Show 2016 is in its 27th year. It showcases the very best in travel, where to go, what to do, that satisfies the avid explorer, or a restful retreat, family fun, or celebratory tour. 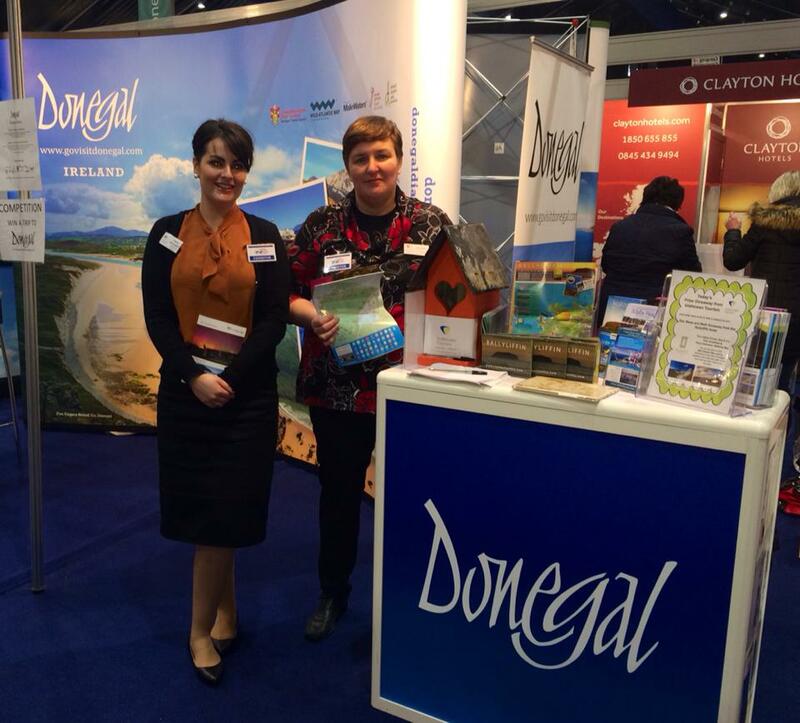 A buzzing atmosphere in both Belfast and Dublin kept the girls busy, welcoming the trade and potential visitors to the stand. The team presented the attractions to experience, the variety of accommodation, places to eat, cafes, restaurants and spectacular scenery to view. On Saturday in Dublin, the queues were streaming in to meet the exhibitors. 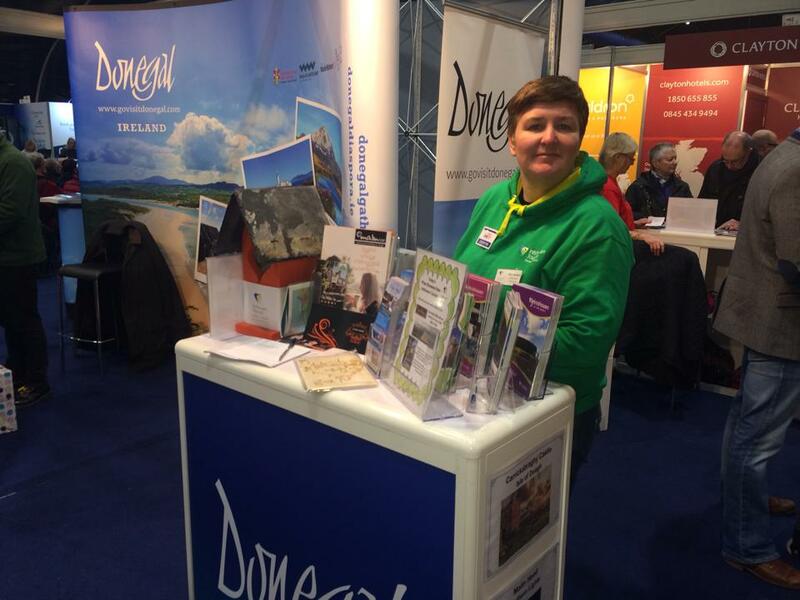 Prize draws featured at most of the stands, this gave us the opportunity to converse with the broad range of potentially interested visitors that may choose Inishowen as their “must see and explore “destination. Prizes were kindly donated by members of Inishowen Tourism to highlight “what’s on offer” here in the Peninsula over the three days in each location. The added attraction of Ireland's Wild Atlantic Way and specifically Malin Head at the start of the road trip has heightened the interest in potential visitors coming up “North”. Exploring the rugged west coast, from the tip of Donegal has never been more appealing. 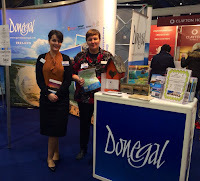 Representatives from various tourism organisations joined Donegal Tourism Ltd and Inishowen Tourism to promote County Donegal in their respective areas. For three days the Holiday World Show transforms into an experience that can transport you to a hub of exotic, vibrant, multi-cultural activity; from the Americas to Asia, Europe to Africa, visitors can literally experience the locations on offer in a way that is not possible on the internet. 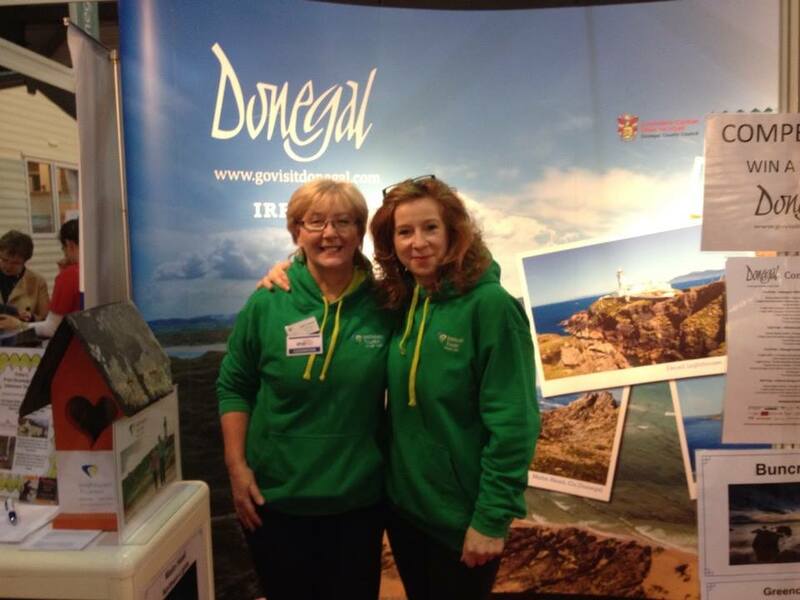 Meeting with people who have already visited Inishowen, or who were intending to visit were particularly interested in walking and hiking, cycling and water sports, combining an invigorating break with fitness seems to be on trend. One travel writer that stopped by had been so impressed with the Urris Hills walking experience that he had written a section in his slot on the Sunday tabloid. He stated “to go out in the hills and not see anyone for four hours just you, the scenery and the peace is pure bliss”. Some people expressed it was a pity it was so far north, however it was worth every minute of the drive. Although the “too far north” effect has had a negative vibe in the past it’s definitely turning around according to the loud and clear messages from those who stopped by. 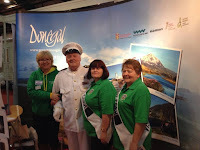 Positive comments were fed back to the team, and so many people were unaware of an airport at Donegal. 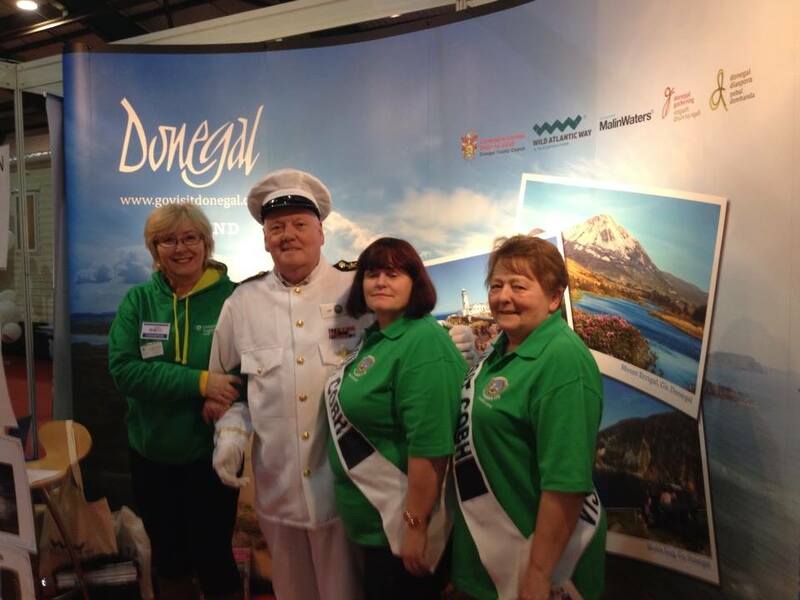 One lucky prize winner would receive free flights to Donegal, car-hire and accommodation in various locations, to include the Peninsula. Motor homes and caravans were now a popular holiday choice for couples, families and groups, giving the freedom to discover new places without breaking the bank. A carefree break away to roam the undiscovered secrets of the Northwest bodes well with the motorhome/caravan owner, and although it is criticised for the lack of revenue to the accommodation sector, these travellers enjoy the restaurants, bars and attractions as they stop and rest a day or two as they please. As the shows drew to a close, time for reflection on the networking contacts made, particularly promoting the “bookends” of the road trip on the WAW were valuable in terms of brainstorming new ideas and marketing initiatives for the future. 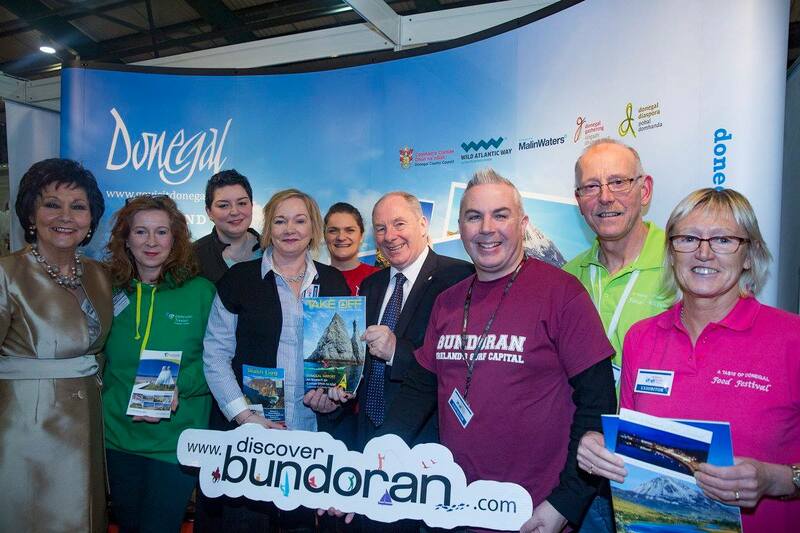 Needless to say our Visitor Guide was distributed to the many interested parties and we look forward to welcoming new faces to Inishowen.